Parliament Live Updates: For Amendment in Clause 2 and 3 of the quota bill, 316 vote in favour and five against it. Parliament Live Updates: Quota Bill passed in Lok Sabha with 316 voting in favour of the Bill and 5 voting against it. Meanwhile, AIADMK’s Thambidurai walks out of the House. 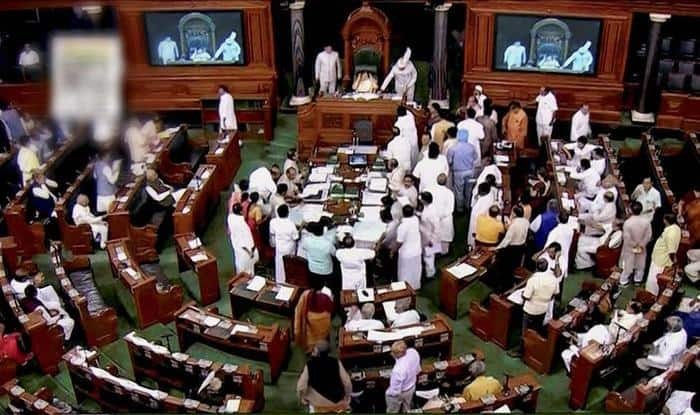 Parliament Live Updates: Voting on quota bill to take place in Lok Sabha soon. Parliament Live Updates: BJP’s Hukumdev Narayan Yadav slams opposition for criticising the quota bill. Parliament Live Updates: RLSP chief Upendra Kushwaha (RLSP) seeks an all India Judicial Services and reservation in judiciary too. He suggests the Winter Session be extended for two more days so that amendments can be moved in the Bill.